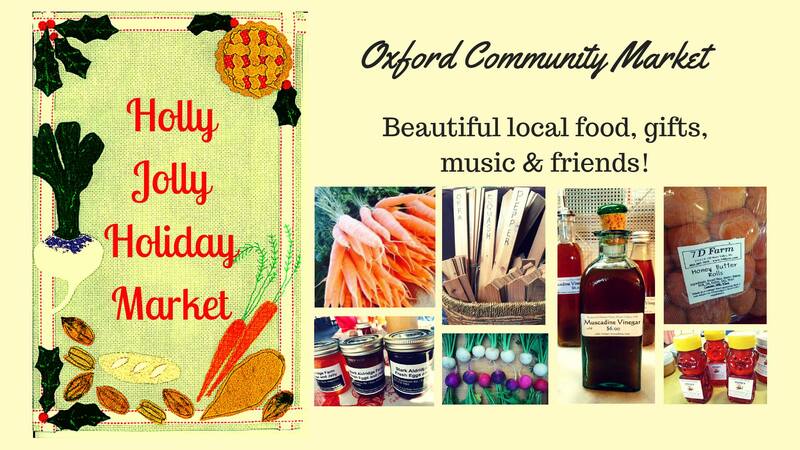 The Oxford Community Market hosts its Holly Jolly Holiday Market today from 3 to 6:30 p.m. at The Old Armory Pavilion. Patrons of the market can expect free refreshments, Christmas singalongs and activities for children to enjoy. An extra special Christmas gift at this year’s market will be Farmer Claus and Juno the Christmas Goat. New this year to the Holly Jolly edition of the OXCM is Santa’s Soup Bar featuring homemade soups from Ajax, Elizabeth Heiskell Catering, Fergndan’s Wood Fired Pizza, Chicory Market, Saint Leo, The Wine Bar, Ravine and Lenora’s. Attendees can enjoy a bowl while shopping or take some to-go. All donations from the Santa’s Soup Bar will benefit the market. OXCM vendors will have gifts and stocking stuffers, special catering menus, baked goods, fresh eggs, and fall produce for a an old-fashioned Christmas dinner, according to Betsy Chapman, market director. In addition to Christmas activities and cheer, the market will also host raffle prizes and live music. OXCM T-shirts will be on sale for $5 each. The last market of the 2018 calendar year is Tuesday, Dec. 18. 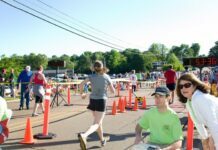 For more information on the Oxford Community Market, visit their website. I feel very sorry when I can not participate!